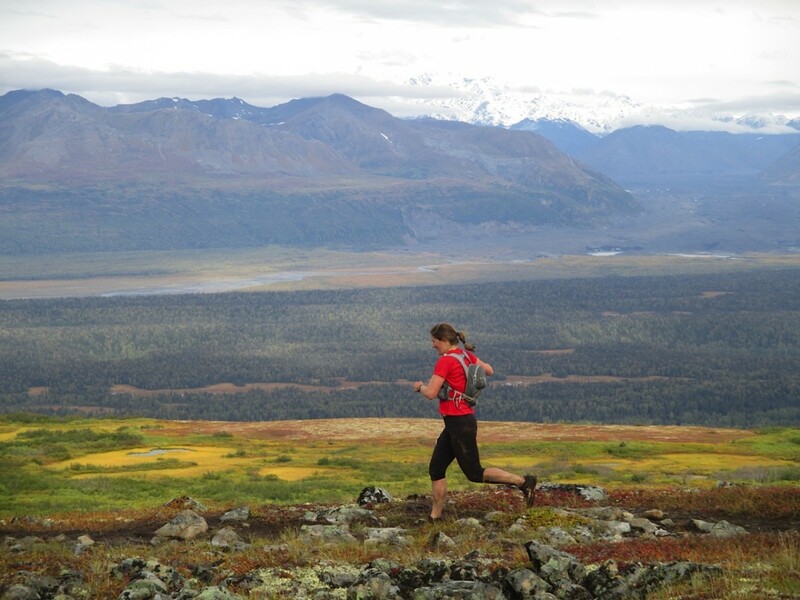 Located in Denali State Park, the Kesugi Ridge Traverse point-to-point course starts at the Little Coal Creek Trailhead (Parks Highway Mile 163.9) and finishes 30 miles later at Byers Lake Campground (Mile 147). Starting at an elevation of 1,400 feet, the trail climbs steadily in the opening four miles to an alpine ridge with a high point of 3,500 feet. The trail is marked with cairns in most places. When visibility allows, views of the Eldridge Glacier and Denali, the largest peak in North America, are prominent.